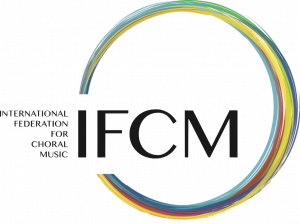 The summer of 2018 was a busy time for the International Federation for Choral Music. 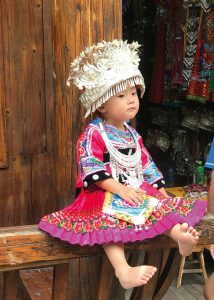 I was lucky to be a part of an IFCM delegation that visited three regions of China and led three important festivals. The first two festivals were located in the city of Hohhot, Inner Mongolia, and in the capital city of Beijing. The third festival was very different as it focused on the choral repertoire associated with folk songs, taking place in the Qiandongnan province of China and visiting five important locations in the region. This festival was unique because it was itinerant, in the sense that the performances were given in diverse locations around the province, allowing it to reach out to audiences far from the main cities. The festival opened in the city of Kaili with a pre-festival recital by the Asia Pacific Youth Choir and other local choral ensembles on the outdoor stage of the Lusheng Plaza in the ancient Xiasi Town in downtown Kaili. This location also served as the venue for the inaugural concert that took place the next day, on 27 July, and included a wonderful mix of Chinese and international ensembles. The following day, all of the choirs travelled to the city of Leishan for a morning performance at the Xijiang Performance Theatre. This was our first real exposure to one of the important minority villages in the area. The architecture of the town, with its wooden buildings set on the hills overlooking the river, the bustling main street with its numerous stores, and the greenest rice fields in the background all combined to create a remarkable and marvellous scene. After an excellent meal shared by all of the choirs on the outskirts of the Leishan rice fields, the choirs travelled to the Liping Natural Bridge. This experience was unique in many ways. First, I was impressed by the beauty of the trail that led to this ancient natural bridge, with its vibrant forest and the couple of small caverns we found along the way. Then, we finally arrived at the stunning bridge, a 256-metre natural arch stretching over the Fulu River—the largest natural bridge in the world. During our visit, a local ensemble delighted us with several traditional folk tunes, including one sung from the river, which seemed to be a love song performed by a couple. Naturally, and given the special acoustic conditions of the area, the international choirs each spontaneously performed one song, making the moment a truly international exchange opportunity. Meanwhile, the Missouri State University Chorale gave a wonderful recital at the Kaili Cultural Palace of Nationalities. The day ended with a visit to the Zhaoxing Dong Village in Liping, where the choirs shared another communal meal on one of the village’s beautiful large terraces. After the meal, one last concert was put on at the outdoor auditorium in which the choirs performed more of their fantastic repertoire, concluding a day of sharing, discovery, and music-making. 29 July started off with a concert in a new location. This time, the choirs travelled to the Xiaohuang Dong Village in Congjiang to present more of their choral repertoire. In the afternoon, the choirs visited the Basha Miao Village in Congjiang. This visit offered the choirs the opportunity to immerse themselves in the Basha Miao Village, with its wonderful wooden houses embracing the mountainous landscape and overlooking the striking foothills and valley. We were directed to the main plaza, where the villagers gave a well-rehearsed performance of their traditional dances and songs, including marriage ceremonies and their distinctive hair-cutting ritual. There were plenty of moments in which these minority people were able to present and shoot their rifles, a unique tradition that has allowed them to be named “the last of the rifle-bearing tribes in China”. The day ended with a concert by all the choirs at the Luanli Tourist Service Centre Theatre in Congjian. The final concert of the festival took place during the afternoon of 30 July, when the Asia Pacific Youth Choir put on a gala concert at the Kaili Cultural Palace of Nationalities. Later that night, the festival came to an end, with the closing ceremony taking place in the same location. An important component of this festival was the World Voices Conference, representing the more academic side of the festival and consisting of a series of lectures. On 27 July, Cristian Grases gave a lecture on folk music from Latin America, while Thierry Thiébaut presented a lecture on folk music in Africa with the help of African ensemble Le Chant Sur La Lowé. 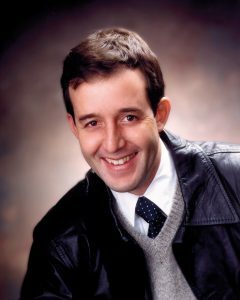 On 29 July, Andrea Angelini presented a lecture on Gregorian chant and the music of the Renaissance in Italy. This important element of the festival allowed for further exploration into the music of other regions. The international ensembles participating in this one-of-a-kind festival were the Asia Pacific Youth Choir (from numerous nations along the Asia Pacific Rim), Le Chant Sur La Lowé (Gabon), Gioventù in Cantata (Italy), Ensemble Evergreen (Japan), Coro Arturo Beruti (Argentina), and the Missouri State University Chorale (USA). Ensembles from China included Zhongshan Choir, Guilin LiangJiangSiHu Choir, Zhongshan Seven Rainbows Choir, Qiannan ShuiZuGuGe Choir, Kaili Miao Language and Literature Base Choir, Qiandongnan Prefecture Elderly University Women’s and Mixed Choirs, Kaili Musicians’ Association Choir, Kaili Cultural Centre FengHua Choir, Qiandongnan Prefecture Elderly University QiYue Choir, Kaili No. 10 Elementary School Children’s Choir, MiaoLinHuiFeng Women’s Choir, The Ministry of Culture and Tourism Elderly Artists’ Choir, Tianjin Binhai New Area Rainbow Teachers’ Choir, China Agricultural University Student Choir, Beijing Youth Choir, Guizhou Literary Federation ShanYun Choir, Qiandongnan QingShuiJiang Harmonic Choir, Kaili City Choir, Kaili University A’YangXin Choir, Liping DongZuDaGe Choir, Congjiang DongZuDaGe Choir, and Rongjiang DongZuDaGe Children’s Choir. We definitely encourage you to participate in festivals like this, to share your culture and folk-music heritage, and to be delighted by the wonderful singing traditions of this part of the world.